For many years, doctors have recommended a daily low-dose aspirin to reduce the risk for heart attacks, strokes, cancer and other health problems. 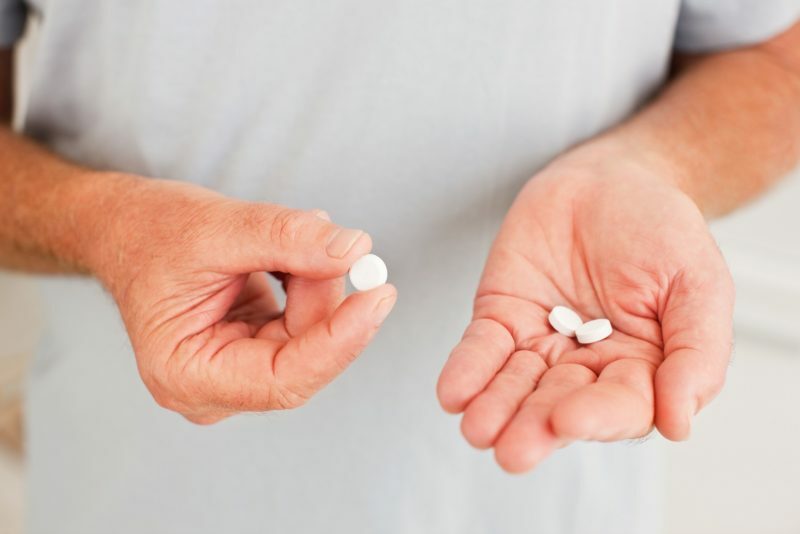 A new study alleges that common practice has no benefit for healthy older adults, instead reporting an increased risk of mortality from all causes for those taking aspirin compared to a placebo group. Although there still may be a benefit for those with a history of cardiac ailments, the medical community is now faced with a recommendation change in the accepted practice. The Australian study, conducted to evaluate the veracity of the long-standing recommendation of a daily low-dose aspirin for older adults, enrolled 19,114 relatively healthy people from Australia and the United States. Participants were randomly assigned to receive 100 mg daily of aspirin or a matching placebo. The study, which began in 2010, was halted on June 12, 2017 by the National Institute on Aging, which funded the trial. The reason given for the early close was that interim results clearly indicated that continuing the study would not improve the benefit in terms of the primary end point. Of the 1,052 deaths that occurred during the median 4.7 years of follow-up, cancer was the major factor in the higher mortality seen in the aspirin group compared with the placebo group (3.1 percent versus 2.3 percent cancer-related deaths in the two groups, respectively). It turns out the science was not settled about aspirin, after all. 1 Tinker B. With Daily Low-Dose Aspirin Use, Risks May Outweigh Benefits for Older Adults. CNN Sept. 17, 2018. 2 Stein R. Study: A Daily Baby Aspirin Has No Benefit For Healthy Older People. NPR Sept. 16, 2018. 3 McNeil JJ, et al. Effect of Aspirin on All-Cause Mortality in the Healthy Elderly. N Engl J Med Sept. 16, 2018. 3 Responses to "Study Reports Daily Aspirin is Not a Magic Bullet"
Gosh, the science isn’t settled? Now, why does that sound familiar? Oh, yeah…vaccines. The science of vaccine is “settled” too–the researchers settled for selling out their integrity to present pharma-company funded studies that found the results they were paid to find (when they even bothered to run a study). TRUE science is NEVER settled. My new doc is a wonderful, smart, learned young man. But he’s full of all the OFFICIAL dogma. I HAD A SPECTACULAR CHECK-UP, where ALL the blood test & other numbers were great, YADDA YADDA. But I DO take a few $4 meds, which affect those numbers. _ Then he plugged some data, like age, etc., into his industry-supplied calculator program, and it insisted I had a 29% chance of heart attack or stroke, in the next ten years. _ Okay, I’m 65 and shot enough. The older you get, the more likely you are to die, sure. _ Currently we’re experimenting on me, since I had a blood clot or maybe two, five years ago; so, I might need to always be on warfarin (though been off nearly 5 years). Well, that’s worrisome, but at least he agreed for me to stop taking the baby aspirin, while on warfarin. _ Don’t forget to take “your” flu-shot. Never have taken any; never will. _ Docs my whole life said I was too fat and going to die. I didn’t die, yet, but the prices they charge to tell me that, annually!, ALWAYS increase. If I die in a car wreck, blunt force trauma, etc. ; they’re going to insist: he was too fat and going to die. _ NOPE, but thanks for playing: the correct term is: TOO ALIVE AND GOING TO DIE.